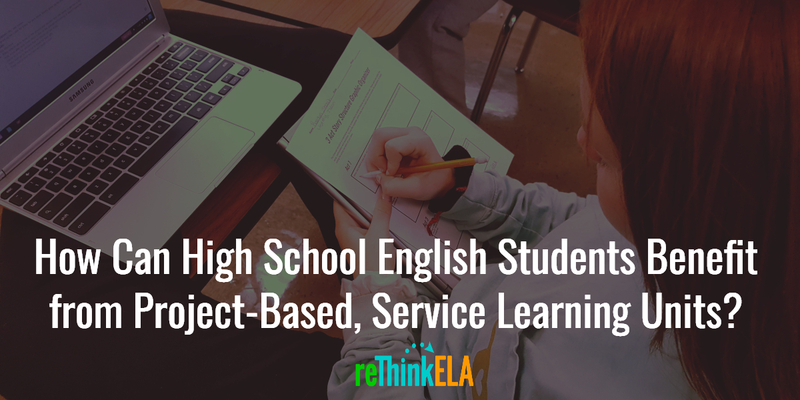 How Can High School English Students Benefit from Project-Based, Service Learning Units? You are here: Home / Pedagogy / How Can High School English Students Benefit from Project-Based, Service Learning Units? 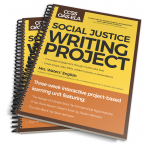 A buyer of one of my project-based, service learning products on Teachers Pay Teachers recently complained that there were no worksheets included in what she had purchased. On one hand, I understand that teachers buying units at the last minute on TpT probably are hoping for something quick that will keep the kids busy while they grade papers or complete any other myriad of tasks required by their districts. That said, here at reThink ELA, we want to go beyond worksheets to helping teachers truly engage students in meaningful, skill-building, authentic projects. 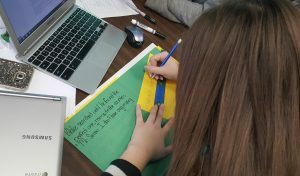 I have spent the past seven years digging through the latest research and testing in my class how students both acquire and internalize English Language Arts skills. 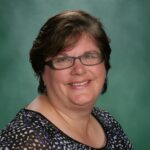 I have studied intensively the past three years as part of my National Board for Professional Teaching Standards candidacy, the past year implementing what I have learned as an Oklahoma Writing Project teacher consultant, and the past several months as a Master’s student, and I want to give teachers the tools they need to help their students reach their potential as communicators and community members. …a teaching method in which students gain knowledge and skills by working for an extended period of time to investigate and respond to an authentic, engaging and complex question, problem, or challenge, according to the Buck Institute for Education (BIE). As a former newspaper reporter, I have worked extensively on long-term “authentic, engaging” projects that feature at least one “complex question, problem, or challenge” in the form of newspaper articles at the interscholastic, collegiate, and professional levels. 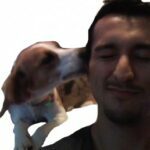 These projects — which started with students developing story ideas, researching and interviewing for information, writing articles and editorials, and publishing them on a monthly or weekly basis, enabled me to experience the inherent benefits of PBL, which enabled me to successfully navigate my journey to become the first member of my immediate family to graduate from college, to start and manage my own web hosting company for almost 10 years, and later to become a teacher. I still use the skills I learned through those projects today, as evidenced by this website — even this very article. 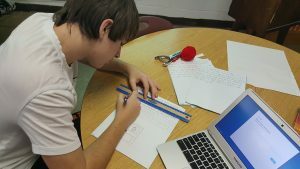 A student works on his group’s “The Gift of the Magi” children’s book during an elective. This is how project based learning and service learning projects go beyond worksheets or textbook-based assignments. 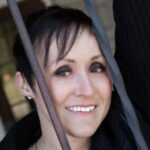 Students are expected to take the lead while the teacher provides guidance from the side. 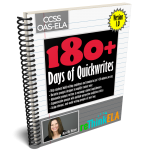 These lessons are not meant for a teacher to stand at the front of the room and pour knowledge into students, but for students to collaborate with one another and the teacher, to build critical thinking skills as they solve project-based problems using the tools at their disposal, to exercise their creativity in written or spoken expression, and to communicate a common or individual message to an authentic audience. I’ve built the lessons around the p21 Framework for 21st Century Learning, which I actually learned way back in a 20th century high school journalism classroom while eating Crazy Bread on a Monday afternoon as we worked like mad to put the school newspaper to bed. Sometimes even a student who is not in the same grade or class gets pulled in to provide supplementary skills — like illustration. The concepts behind service learning take PBL to the next level. Instead of giving students work that is only valuable within the context of a classroom, students are asked to meet a genuine community need, according to the National Youth Leadership Council. In the case of our children’s book unit, I see a need for young students in our community to learn the value of both reading and writing. Teachers and even parents can extol the virtues of both, but students, particularly at the upper elementary and middle school levels will listen to my high school students before they listen to the adults. If they see my students creating their own works of fiction and then reading those works to them, they will see the value in reading and writing. And the high school students will benefit from having the younger kids look up to them. 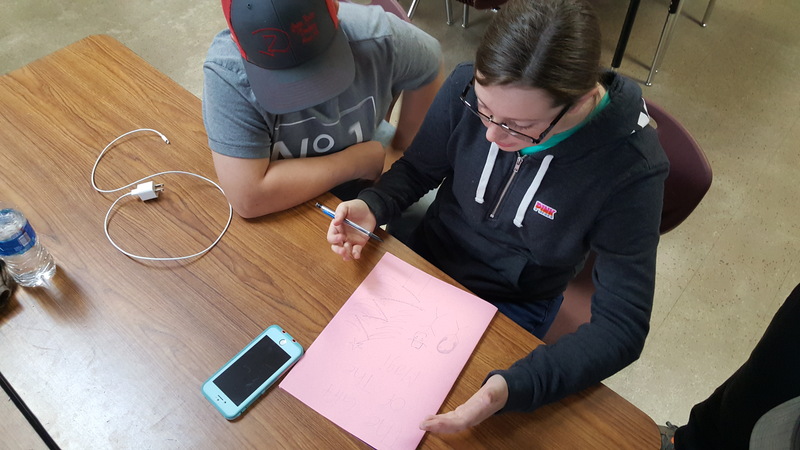 Students collaborating in groups will contribute their strengths to the project. The beauty of Google Apps for Education, Google Docs, in particular, is that students don’t even have to be in the same class to work together. I understand that these projects are messy and can be tough on a teacher who has never taught PBL units before. My advice: Jump in with both feet. It’ll be messy. You and your students will experience some frustration, particularly if none of you are used to student-centered, student-lead projects. But it will be worth it. 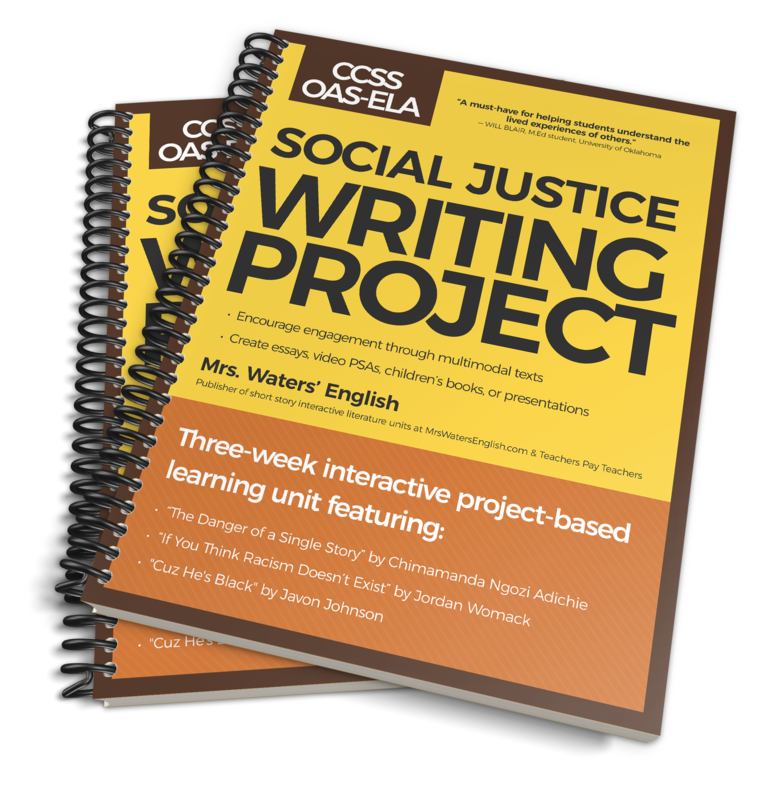 If you’d like to give PBL a try, I recommend starting with my Gift of the Magi Writing Project, or the Social Justice Writing Project.